JOHNSTON AIRCRAFT SERVICE, INC. WANTS TO EXTEND TO YOU AN OPEN INVITATION TO STOP IN AT OUR FACILITIES AND LOOK US OVER. WE HAVE BEEN IN THE AVIATION SUPPORT BUSINESS SINCE 1947 AND HAVE A REPUTATION FOR QUALITY, RELIABILITY, AND SERVICE. WE LIKE, OWN, WORK, ON AND UNDERSTAND "COMANCHE". WE PRIDE OURSELVES THAT WE CAN MAKE YOUR COMANCHE GO FASTER, HIGHER, AND FURTHER AS WELL AS REPAIR IT, ANNUAL IT, OVERHAUL THE ENGINE(S), INSTALL A ONE-PIECE WINDSHIELD, OUR HIGH PERFORMANCE GOOD LOOKING WINGTIPS, ONE OF OUR HIGH PERFORMANCE PROPELLERS, KNOTS 2 U MODS, WEIGHT and BALANCE, - WHATEVER YOU NEED!!!! We are now the North American representative for the AUSTRALIAN STABILATOR HORN to eliminate the repetitive inspections of the factory unit. Installation of the AUSTRALIAN HORN COMPRISES an AMOC FOR A.D. 2012-17-06! Please contact us for horns, installation kits, horn installations in your Comanche, or rebuilds of your existing Piper factory horn/torque tube/balance weight tube assy. PLEASE CALL FOR CURRENT PRICES!! 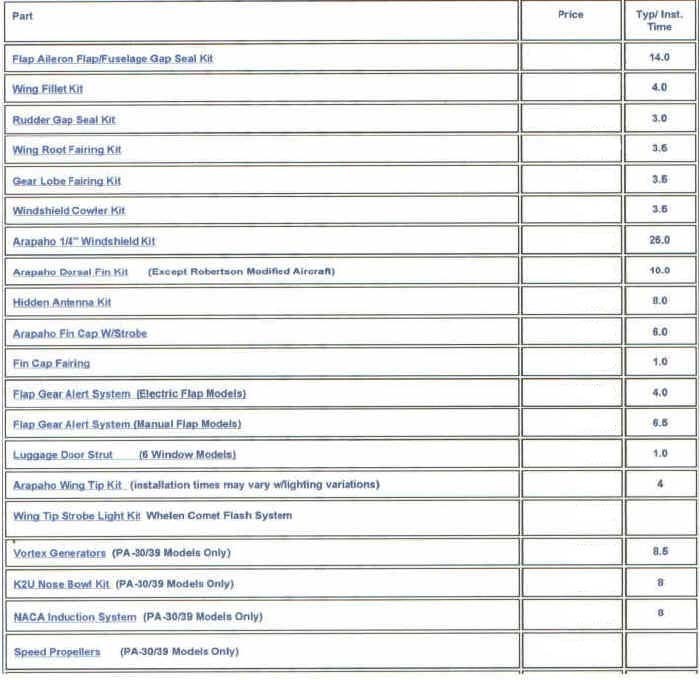 TELEDYNE CONTINENTAL, LYCOMING, BENDIX IGNITION, SKYTRONICS IGNITION HARNESSES, CHAMPION PRODUCTS, LP PLASTICS, WHELEN LIGHTING AND MUCH MUCH MORE. O.E.M. WITH HARTZELL PROPELLER and TEXTRON LYCOMING.